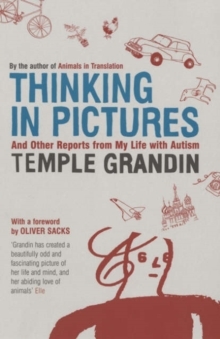 In her groundbreaking and bestselling book Animals in Translation, Temple Grandin drew on her own experience with autism as well as her distinguished career as an animal scientist to delivery extraordinary insights into how animals think, act, and feel. Now she builds on those insights to show us how to give our animals the best and happiest life - on their terms, not ours. It's usually easy to pinpoint the cause of physical pain in animals, but to know what is causing them emotional distress is much harder. 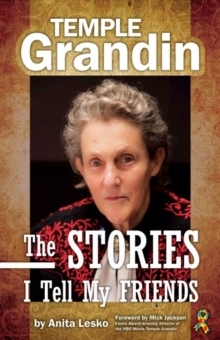 Drawing on the latest research and her own work, Grandin identifies the core emotional needs of animals. 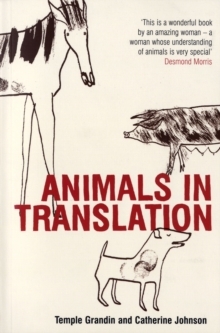 Then she explains how to fulfill them for dogs and cats, horses, farm animals and zoo animals. 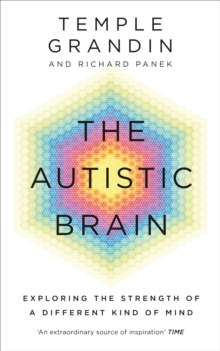 Whether it's how to make the healthiest environment for the dog that you leave alone in the house during the day, how to how to keep pigs from being bored, or how to know if the lion pacing in the zoo is miserable or just exercising, Grandin teaches us to challenge our assumptions about animal emotions. 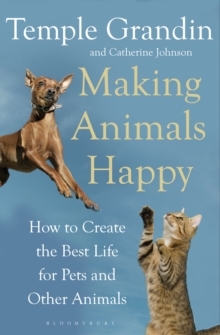 Making Animals Happy is the culmination of almost 30 years of research, experimentation, and experience. This is essential reading for anyone who's ever owned, cared for, or simply cared about an animal.